Woolworths’ hospitality arm, ALH Group, has appointed CBRE Hotels to market the Brighton Hotel in Mandurah – representing the second divestment in an $86 million portfolio of Perth venues it purchased in 2011. ALH Group acquired the Brighton Hotel as part of a portfolio of 12 assets from collapsed company Compass Hotel Group. ALH Group sold the Princes Road Tavern in 2012 and will retain ownership of the remaining 10 assets, which includes well-known venues such as The Carine, The Greenwood and the Albion. The Brighton Hotel, located at 12 Mandurah Terrace is a purpose-built tavern and restaurant located on a 1,300sqm landholding offering north-west estuary views. The venue includes a restaurant, rear public bar and courtyard, and upstairs function area – all of which capitalise on outstanding views. CBRE Hotels’ Ryan McGinnity and Chloe Mason have been appointed to sell the property, which has been identified as surplus to the ALH Group’s needs, via public auction. Mr McGinnity said the waterfront venue was well suited to a local, hands-on operator with great exposure to the local community. “The Brighton Hotel is a well-established venue generating a substantial revenue. The venue is ideally suited to a hands-on operator that will leverage Mandurah’s growing population to further boost turnover and profitability,” Mr McGinnity said. The marketing campaign for the Brighton Hotel follows the recent sale of the Sebel Hotel and Peninsular Bar & Restaurant for $15 million – highlighting growing confidence and investment in Mandurah’s hospitality sector. 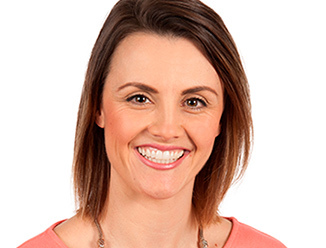 CBRE selling agent Chloe Mason commented: “While Mandurah struggled economically following the boom, when many new residential subdivisions and apartments were developed, the city has recovered and local businesses are now starting to reap the benefits of these now occupied projects. The property is being offered for sale via onsite auction on December 7.